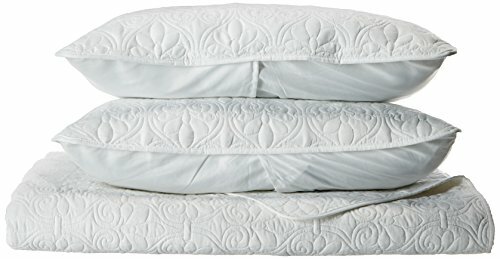 New (5) from $130.67 & FREE shipping. 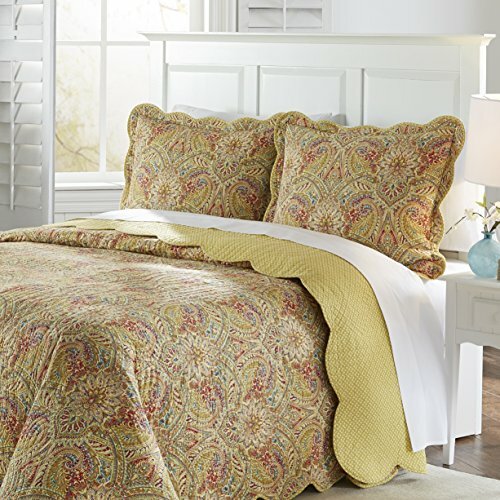 Size:96x110 | Color:Berry Bring your bedroom to life with the Waverly swept away 3 piece bedspread collection. 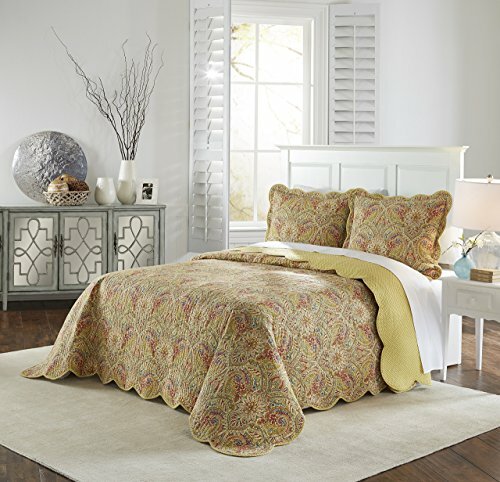 This elegant ensemble features an updated paisley aesthetic with modern flower bursts. Rich neutrals come to life with accents of Berry and spa blue. Reverse features coordinating stripe. 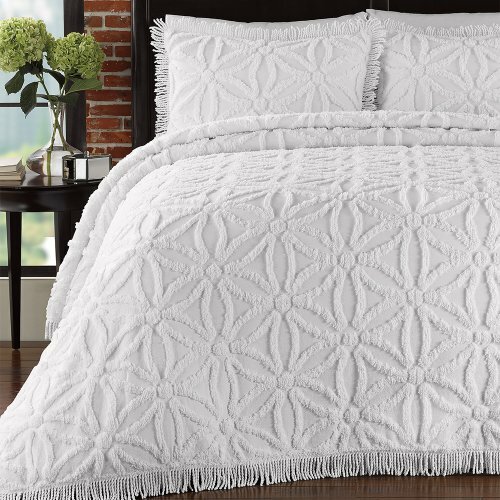 Bedspread and shams feature four scalloped edges for luxurious style. 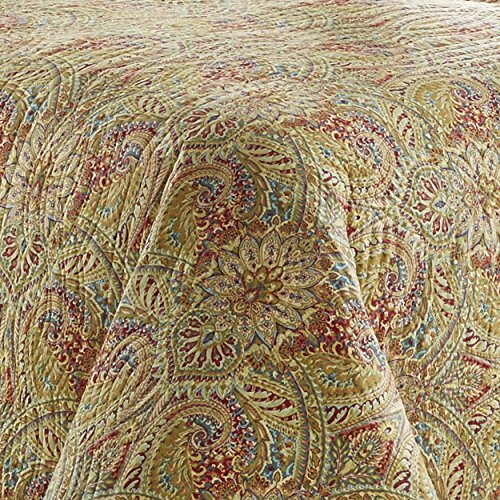 Queen set features a 96 x 110 reversible bedspread and two 21x 26 reversible standard shams. 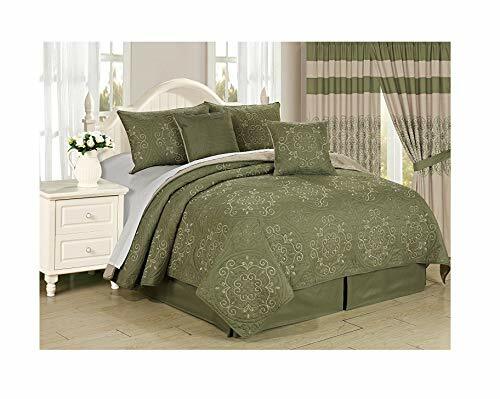 King set includes a 110 x 120 reversible bedspread and two 21x36 reversible king shams. 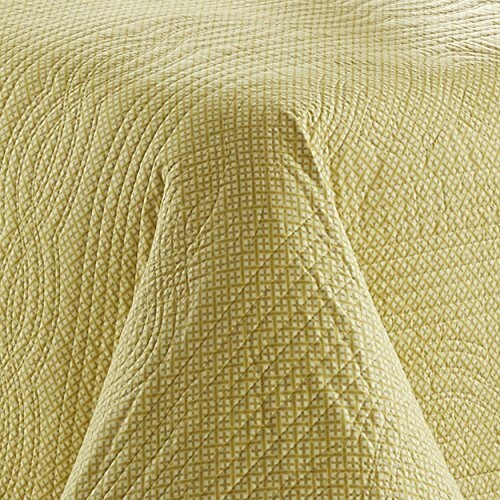 Machine washable for easy care. Wash in cold water on the gentle cycle and tumble dry on low for optimal care and long lasting beauty. 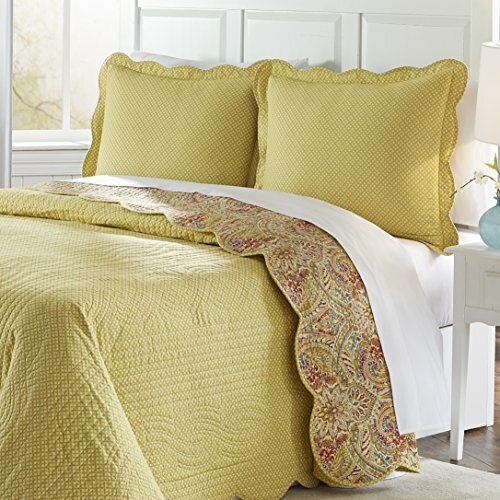 Complete your designer look by layering on coordinating accent pillows and lined window treatments, all sold separately.